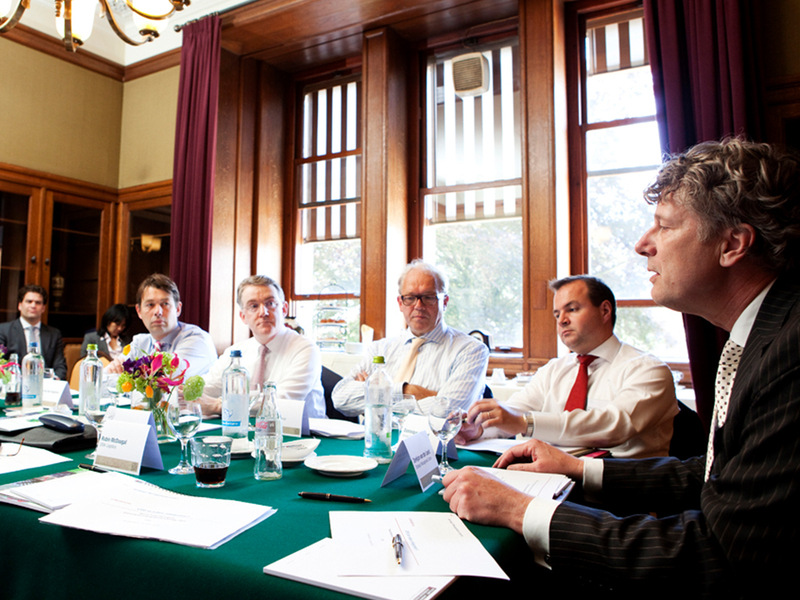 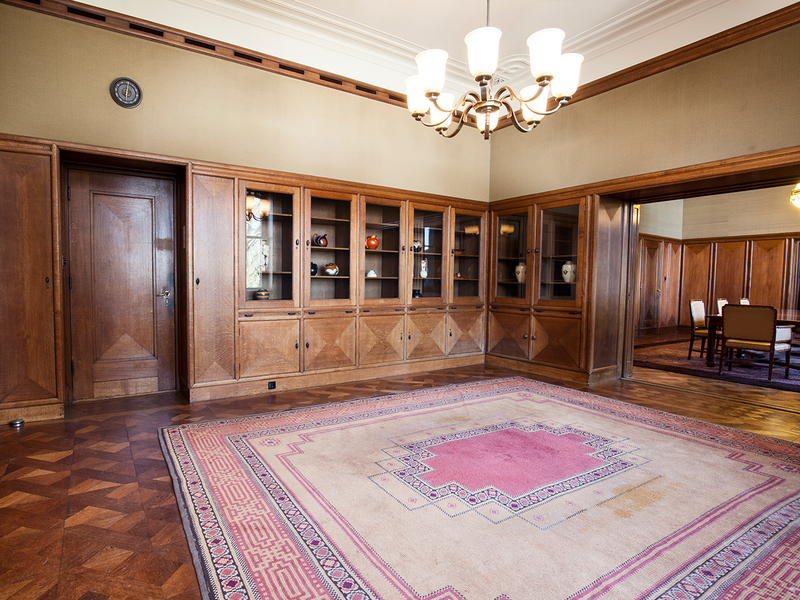 The former library with its intimate and elegant atmosphere lends itself well to smaller, private gatherings and presentations. 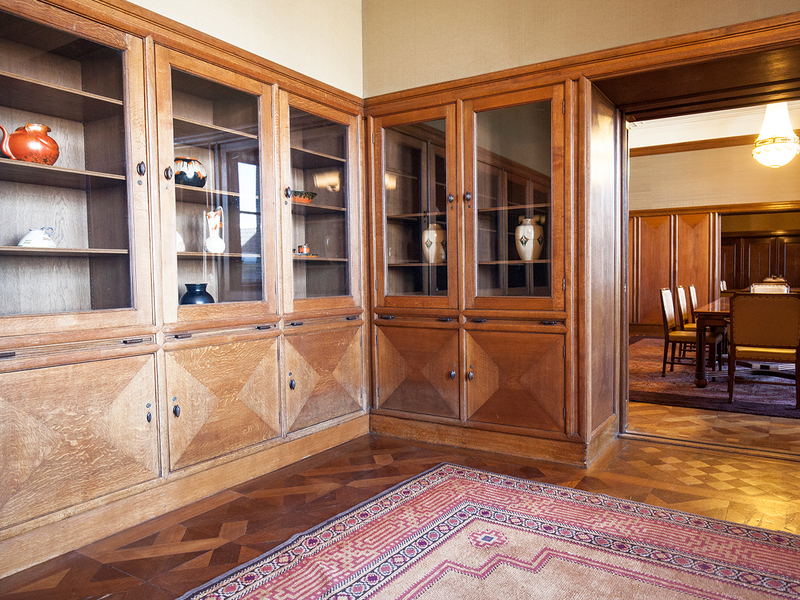 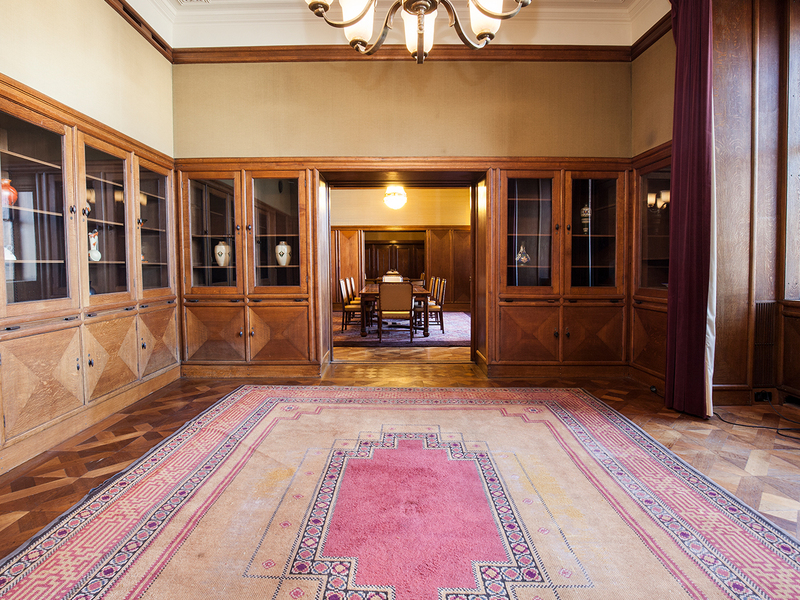 The built-in bookcases with beautiful glass and wood carvings now host a collection of rare Art Deco porcelain. 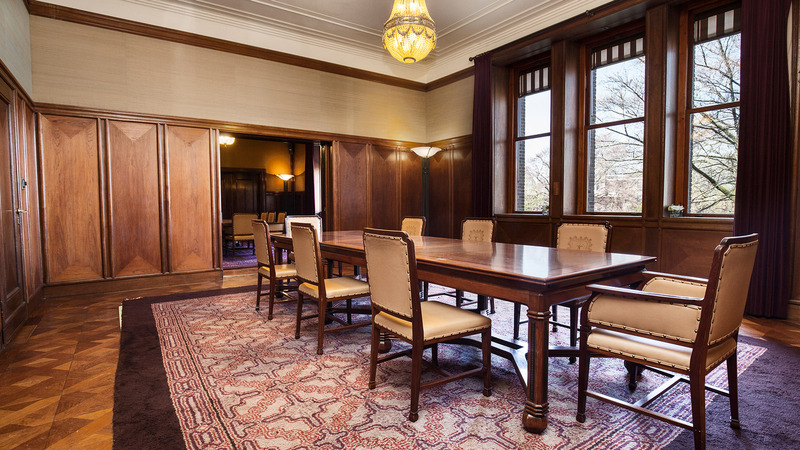 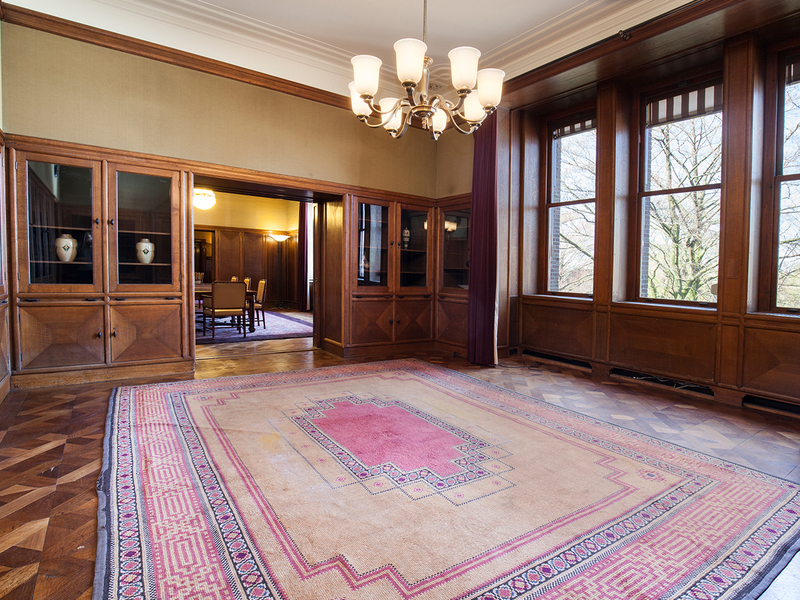 The used panelling in the room is from the Indonesian Saraya wood.